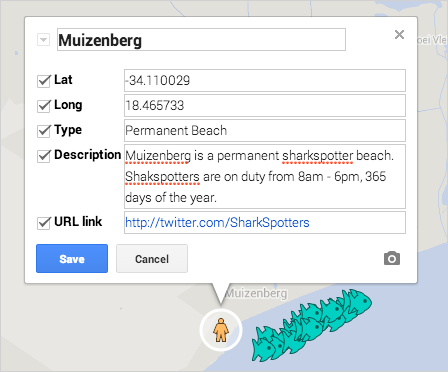 You can easily make changes to your map data at any point in the map-making process. You may want to do this if you notice a typo or want to add extra information to your info windows. Below you’ll learn how to edit your map data. 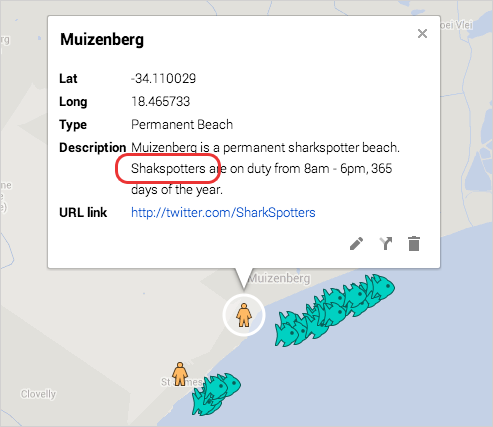 You’ve noticed a typo in the Muizenberg data in the Shark Spotter Beaches layer. Shark Spotters is misspelled as “Shakspotters”. Click the pencil icon in the info window. You can edit the data directly from the info window. The table and infowindows for your map locations are synchronized, so any changes you make will be reflected in both places. 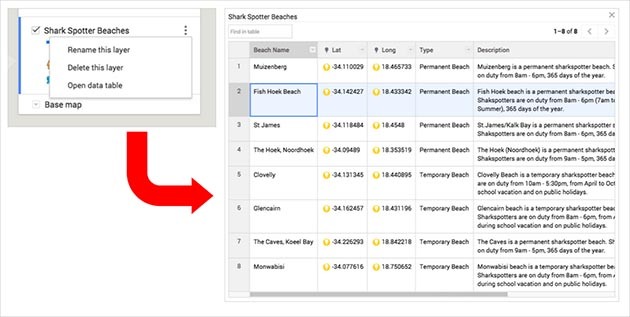 You can also add rows to your table if you want to display additional information, or delete an existing row. Tip: If you change the content within a location column, it will automatically attempt to correct the location according to your changes on the map.